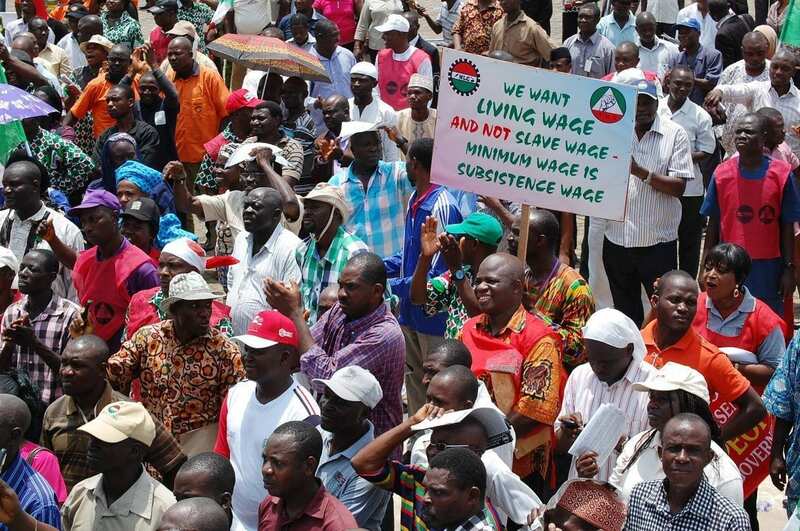 In Nigeria, the Solidarity Center allies with the country’s two major labor federations, the Nigerian Labor Congress (NLC) and the Trade Union Congress (TUC). The Solidarity Center also joins with other labor groups such as the National Association of Nigerian Nurses and Midwives (NANNM) and pro-poor and pro-democracy organizations in a collective effort to remedy economic inequality, protect citizens’ civil and labor rights and promote gender equity. Following many years of dictatorship, Nigeria now has an elected leadership, but the country is rocked by competition over resources expressed through religious extremism and ethnic challenges. With more than 180 million residents, Nigeria is Africa’s most populous nation. The greatest economic challenge for Nigeria is rising income inequality, which includes significant wealth variations between urban and rural areas and geopolitical regions. Although the country is Africa’s leading oil producer, more than 60 percent of residents live in poverty, and the poverty rate is increasing. Life expectancy is only 53 years for men and 56 years for women. Some 24 percent of young workers are unemployed. Most jobs are in the informal economy, which fuel much of the nation’s economy but which offer workers low-wages, few or no social protections and often dangerous working condition. Most Nigerians have not benefited from the oil profits pouring into government coffers. In fact, the greatest threat to economic progress remains government mismanagement and corruption. 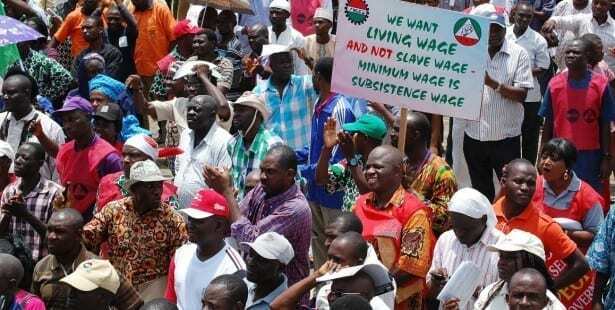 Trade unions in Nigeria take leadership roles in mobilizing workers around bread and butter issues. Unions spearheaded a successful general strike against the government’s proposed abolition of a fuel subsidy in 2012, which would have severely raised the cost of energy. 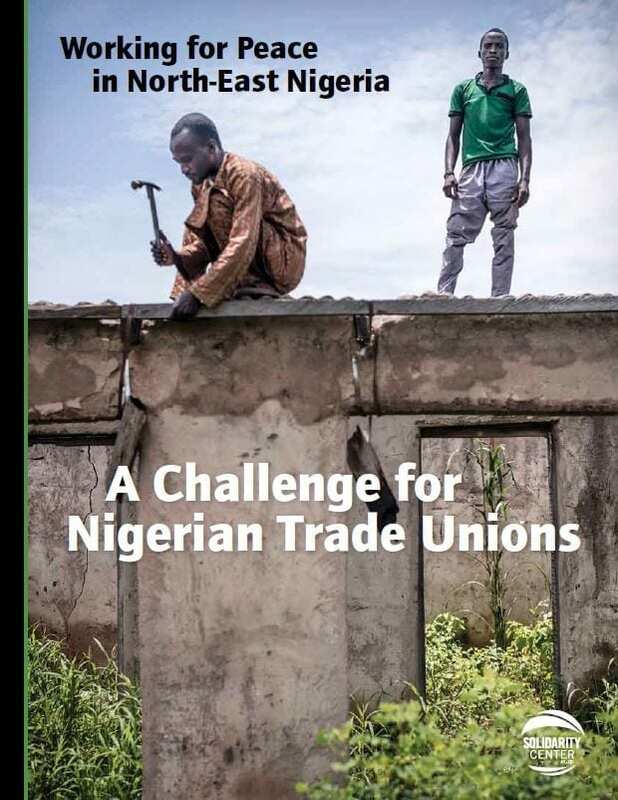 Unions in Nigeria are the most effective entities holding government accountable. For instance, Solidarity Center ally, the Lagos State University Branch of the Senior Staff Association of Nigerian Universities, mobilized the union’s more than 8,000 members to push for financial transparency at the university, ultimately revealing that $5 million in education funds were missing. Responding to lack of budget transparency in oil-producing Rivers State, a coalition of union and community groups formed WITSOJ in 2007. Inspired by a Solidarity Center workshop on women’s empowerment and civil-society participation, WITSOJ has trained more than 5,000 women in hands-on workshops, enabling them to champion their interests, including potable water and health clinics, to local government. The Solidarity Center also has furthered gender equality by joining with NANNM and successfully encouraging women’s leadership and involvement in the union. The Solidarity Center will continue to support our allies as they work with government and employers to increase wages and improve Nigerians’ living standards.